Sunny Deol Joins BJP! 7 Movie Dialogues Sunny Paaji Must Use in His Election Speeches and Where To Use Them! Samantha and Chaitanya Akkineni's Latest Traditional Pictures From a Function Are Filled With Fun and Love! The Indian Space Research Organisation (ISRO) has invited eligible candidates to fill up Scientist and Engineer posts in level 10 of pay matrix. All those who are interested must note that the last date to apply for the position is till January 15, 2019. The notification for the available job vacancy is available online at the career section of ISRO’s official portal, isro.gov.in. There is a total of 18 openings at the organisation. Depending on the academic performance and related experience, initial screening will be conducted to shortlist the candidates for holding written test. BPSC Prelims 2018 Answer Key Released Online. After the successful completion of the online applications, the admit card for the test will be sent by email on the first week of March 2019. The written examination for the selection of the eligible candidates of ISRO Scientist/ Engineer will be conducted on March 10 at various exam centres across the nation. Scientist/Engineer ‘SC’ (Civil): B.E./B.Tech. Or equivalent in Civil Engineering in first-class scoring an aggregate minimum of 65 per cent marks. Scientist/Engineer ‘SC’ (Electrical): BE/ B.Tech or equivalent in Electrical Engineering or Electrical and Electronics Engineering in first class with a minimum aggregate score of 65 per cent. Scientist/Engineer ‘SC’ (Refrigeration & Air Conditioning) – BE/ B.Tech or equivalent in Mechanical Engineering with Air Conditioning & Refrigeration or allied subjects as electives. Scientist/Engineer ‘SC’ (Architecture) – Bachelor’s degree in Architecture in first class with an aggregate minimum of 65 per cent marks. The candidates will be selected based on their performance in the written test and interview. Those who clear the written test, will then appear at the interview. The final selection will only be made based on the score in the interview round. They will have to secure a minimum of 60 per cent marks. The answer keys of the written exam will be published within three working days after the ISRO recruitment test. 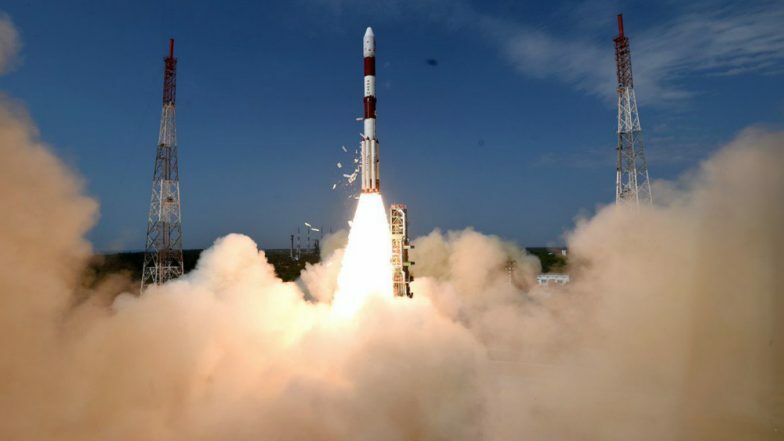 ISRO Successfully Launches HysIS, India’s Earth-Mapping Satellite on PSLV-C43 From Sriharikota, 30 Other Commercial Satellites on Board; Watch Video. The selected candidates will earn a minimum of Rs. 56,100 per month remuneration. Besides, the house rent allowance and transport allowance will be paid for those who do not avail departmental housing and transport facility. The ISRO Scientist, Engineer recruitment written test will be conducted on March 10 at Ahmedabad, Bengaluru, Bhopal, Chandigarh, Chennai, Guwahati, Hyderabad, Kolkata, Lucknow, Mumbai, New Delhi and Thiruvananthapuram.